I was indulging in an over due catch up of one of my favourite blogs last night, (Mostly) Yummy Mummy. I read a great post about her trip to one of the blog conferences, Cybher. She said something that made me laugh, that some people she met look like their avatar's and some do not! For any readers who don't use twitter, your avatar is the photo that sits on your profile like your Facebook profile picture. I have recently changed mine from my Capture by Lucy blog logo (designed with my very talented brother) to a photograph from last weekend's birthday celebrations. A photograph of the actual me. Of course I cropped the original, cutting out my beautiful sister and then applied a nice filter, so much more flattering to this very tired mummy! Over the weekend we had been teasing my sister, who put a photo as her Facebook profile, taken as a self portrait, on her iPhone. You know the kind, vintage effect, sultry pout with the bedroom in the background. Very 'facebooky'. Sorry to her for being so mean! Of course almost all of us use what we consider, to be the best photos of ourselves. That is only natural. I have seen some great avatars on twitter, the creamy filter giving the effect of airbrushed, perfect skin and wondered how much attention prospective followers give to your avatar. What do we consider when we chose our avatar? How attractive we think we look? How approachable? How it shows off our sense of humour? Does it sum up our blog or our life? Is that what makes you decide to follow them? Do you check their latest tweets or click on their blog link? It made me think, we can be far too judgmental sometimes. The best photographs that best represent us, aren't the carefully constructed, attempt number 25. They are the snapshots that we capture, almost by accident sometimes! 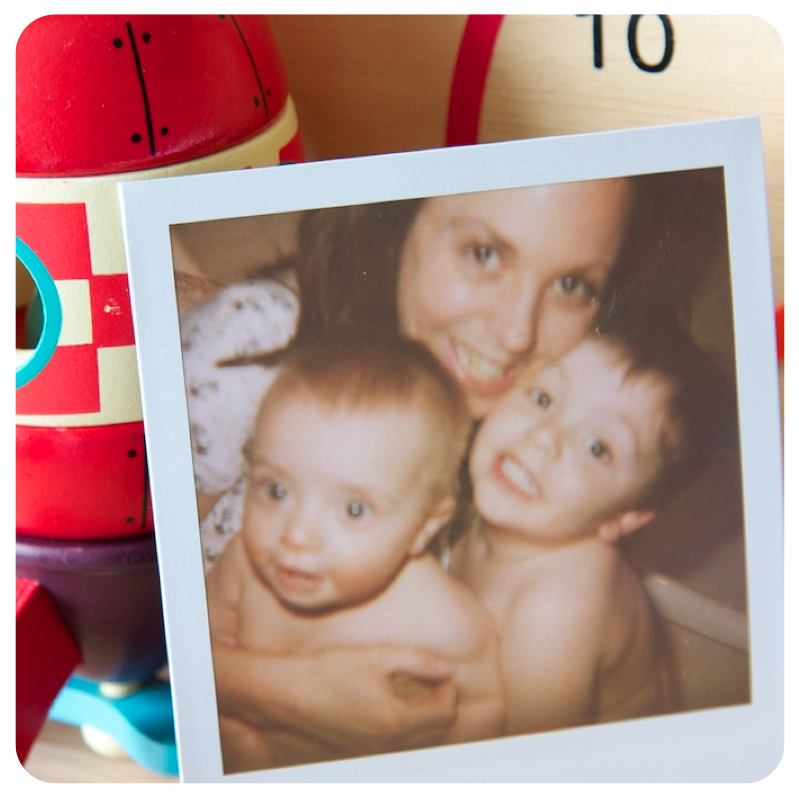 My favourites of me and the boys, are the ones we took just before a bath, with an old Polaroid film that had expired. They are so blurry but capture a really happy moment in time. I have seen people pose in their underwear on their avatar. Crikey, after two kids I certainly won't be trying that one to engage more followers! I wonder how many times people change their twitter avatar as opposed to their Facebook profile pic? I change my Facebook pic as often as I upload new albums but am more reluctant to change my twitter picture. 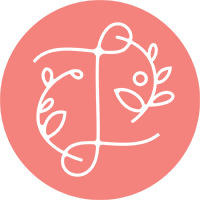 I am sure there are some very clever Social Media experts out there who could tell me the pros and cons of having a photo avatar as opposed to a logo, blog badge or button. But for now I will stick to the actual me! Here is my original, no filter and not too dissimilar I hope!